The kitchen is a busy space. It’s important to get the layout right! So many things can go wrong in your kitchen renovation without proper planning. For one, you can get the right finishes and fixtures wrong. But, that’s easier to fix compared to a wrong kitchen layout. 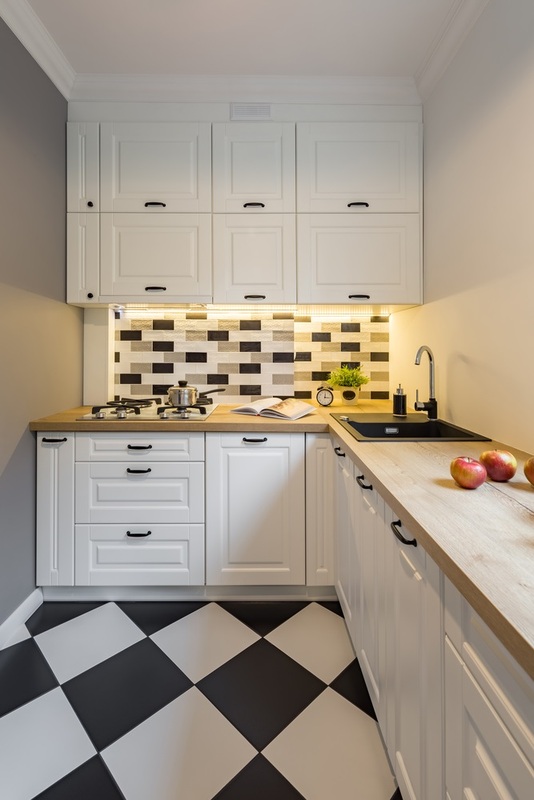 In this blog, we will enumerate the most common kitchen layout mistakes that renovators make. Of course, we will tell you how you can avoid them. Try to follow these expert tips and your new kitchen will function well as you want it too. During holidays and special occasions, two or three people use this space at the same time. Some even use the kitchen as a passageway to the backyard entertaining area. The kitchen is a busy space, so think about the movement of the people to and fro or around it. Allow enough circulation space in the kitchen so it won’t feel cramped. 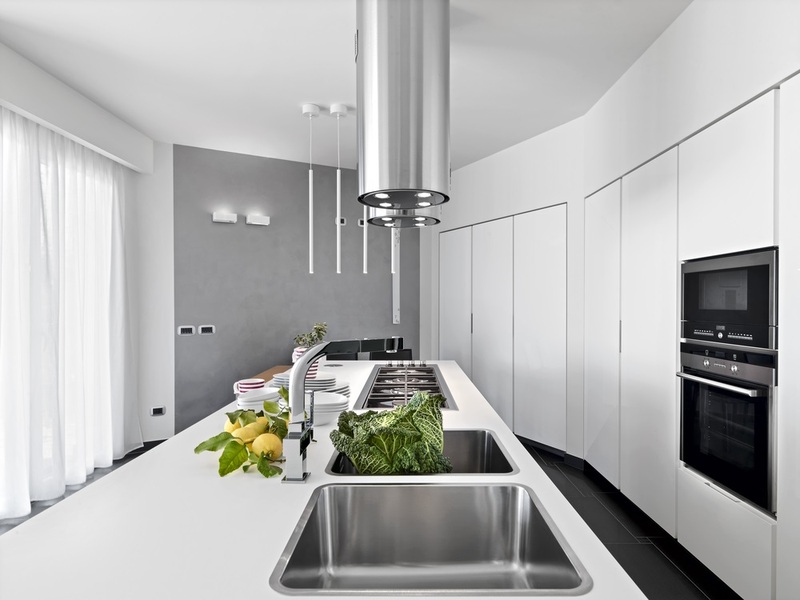 Design solution: Ensure a 1000-1300mm gap between two kitchen benchtops. Widen it more when your kitchen doubles as a thoroughfare. 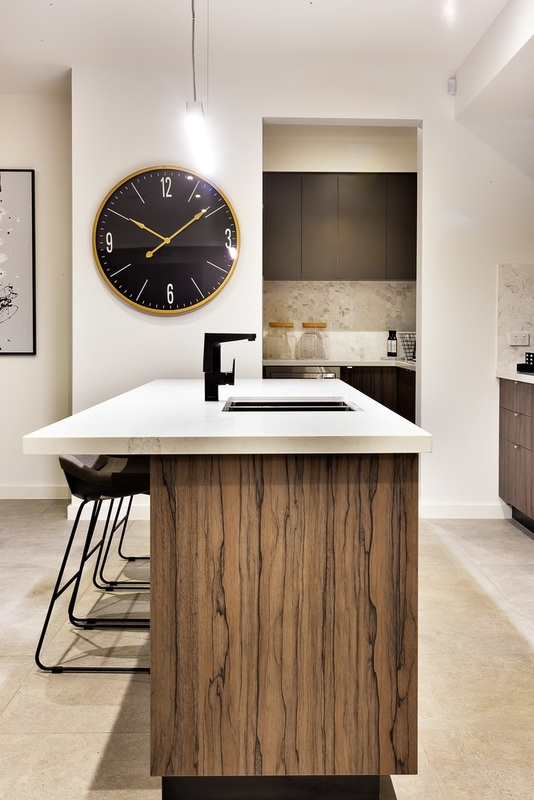 Enough space between benchtops enables a number of people to move comfortably while working in the kitchen. Opening cabinet and appliance doors are easy too. Are you familiar with the kitchen work triangle? If not, you should know that is a concept used to create efficient kitchen layouts. The ends of the triangle represent the cooktop, the sink and the refrigerator. The space between each spot needs to be unobstructed. In most cases, not having a solid work triangle result to an inefficient workflow, where you walk too far to reach the different parts of your kitchen every time you cook, wash, and prepare the food. 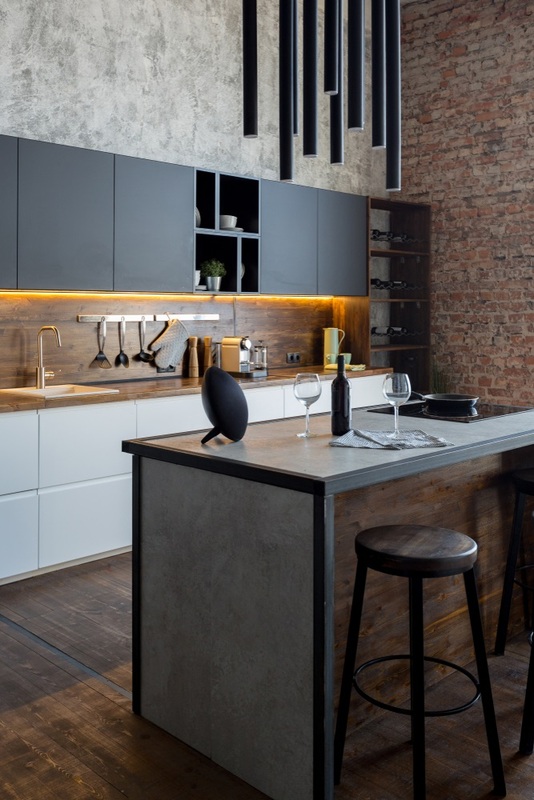 Design solution: Apart from establishing a work triangle, increase functionality around the main parts of the kitchen. Include a spice rack near the cooking zone. Store cutlery and crockery near the sink and dishwasher. Install tailored inserts inside the pantry to improve your storage. When you plan to buy new appliances, measure it and include it in your drawings. Not knowing the dimensions of the appliances lead to trouble like protrusion. You don’t want an oversized fridge or microwaves, blenders, and food processors that sit on the benchtop. Design solution: Always take note of the appliance’s dimensions and how they open. When you know these details, you will achieve an efficient kitchen layout. You will store small appliances in concealed storage. You will have appliances that fit well in your cabinetry. Avoid putting lighting in the wrong place at all times. If you don’t position the lights where it’s supposed to be, you will end up working in the shadows. Also, don’t choose pretty lights that don’t shine bright enough. That is not practical. Never ever prioritise aesthetics over functionality. Design solution: Position light right above the workspace and in front of you. Never put them overhead or behind you so you don’t create shadows. Make sure that downlights and pendant lights are on separate circuits so you control your lighting levels and atmosphere. Also, select light fixtures with bulbs that emit sufficient light. 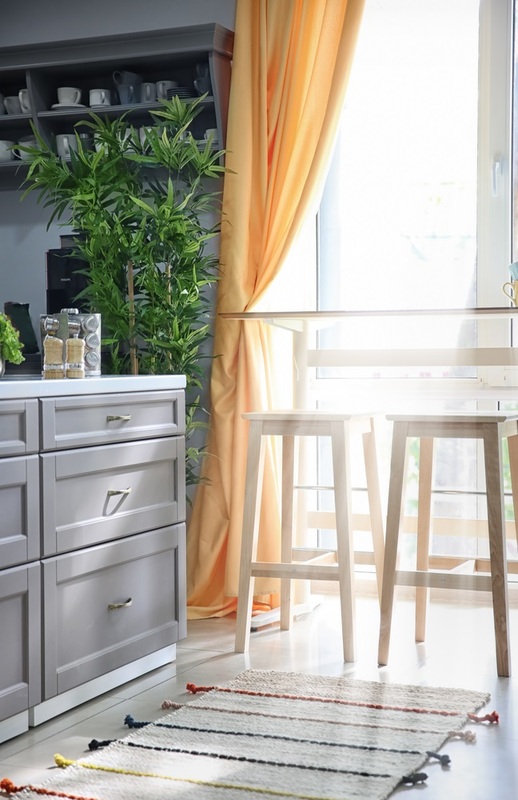 When planning your kitchen renovation, put the kitchen’s busiest areas – the sink, stove, and the fridge in practical locations. Again, follow the work triangle. The work triangle makes them relevant to one another and helps you access them comfortably. Also, make sure that your cabinet and appliances doors don’t block workflow when they’re open. You don’t want to bang into a door every time you open them! 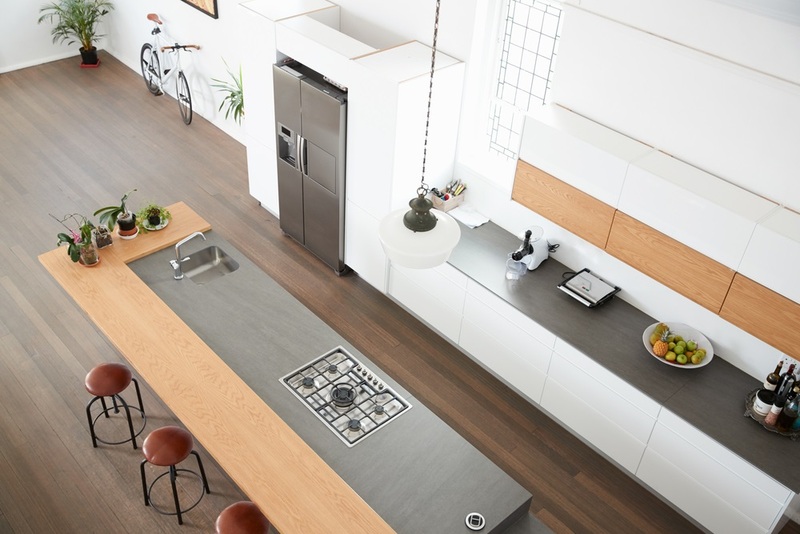 Design solution: Choose appliances before you plan your cabinetry. Do this to make sure that your appliances fit in your units. It gives you a seamless, space-efficient look. Also, think about how many people will use your kitchen. If you foresee a busy and crowded kitchen, consider scaling back. Kitchen islands increase your prep and storage space, but it only works when you have enough room. A wide island in a small kitchen wastes floor space. Also, position your kitchen island correctly. An island in the wrong position obstructs traffic. Never let it block the work triangle, or else you will create a bottleneck in your kitchen. Design solution: Choose an island that your space can accommodate. We recommend an island measuring 1200mm. You can install a sink or a stovetop in it. When you don’t plan to, a 600mm island is enough. Consider building your own when you can’t find a ready-made piece that fits your space. A landing area is a space near the sink, refrigerator, and stovetop. Always leave a decent expanse of bench space adjacent to or across these spaces. A landing area is practical since it allows you to free your hand immediately from the items you grabbed. When you don’t have a landing area, you will end up reaching too far for the items you need or holding on to a heavy, hot, or cold item for a long period of time. Design solution: Allow 12-15 inches of space beside the stove. It’s enough to rest food items and hot pans. Leave 18-24 inches on the sides of the sink as well. You can extend one side to 36 inches when you want your food preparation are net to the sink. (Highly recommended for one-wall or Pullman kitchen layouts). Poorly positioned cupboard doors and drawers block doorways and walkways when opened. These affect kitchen traffic and create a bottleneck in the kitchen. Design solution: Before you commit to a layout, think of it as a whole. Imagine how the appliances will open (fridge, oven, dishwasher). Visualize how cupboards and drawers will open. Then, think about how it affects people movement throughout the space. Every bit of space counts. Your walls offer valuable storage more than you know it. Make use of vertical wall space at all times. Design solution: Extend your cupboards up to the ceiling to maximise your storage. When the rows of closed-door cabinets don’t appeal to you, mix it up with open shelves. Then, extend a statement splashback up to the ceiling. Finally, assuming you need a brand-new kitchen layout is a mistake you wouldn’t want to make. For one, this is expensive. If the placement of doors and windows and the traffic is logical, don’t fix it. Just improve the existing layout. Design solution: Tweak to the layout. 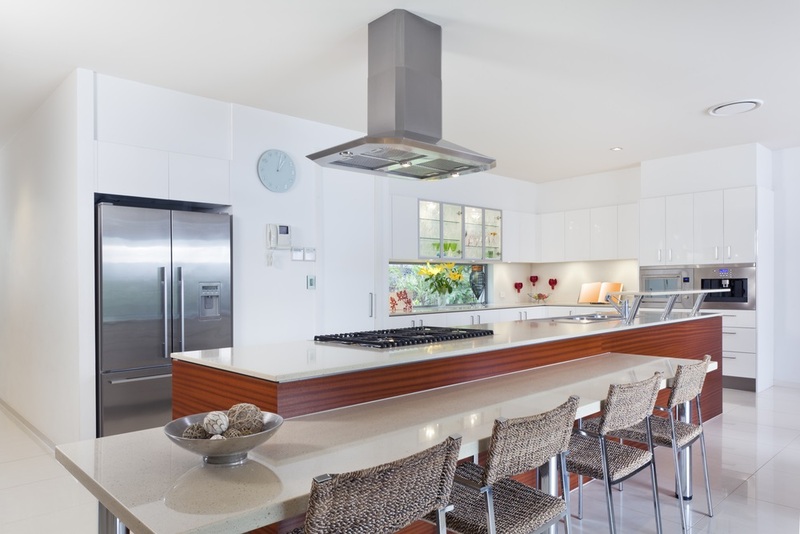 Think about opening it up or adding a breakfast bar or extending the benchtop. Not demolishing an entire kitchen will save you a lot of money. Try not to move or change the existing electrical and plumbing outlets, unless needed. 🗸 How many people will use the kitchen on a regular basis? 🗸 Would I entertain a lot of people? Answering these questions will help you find out the right size and layout of your kitchen. Then, plan the work triangle that best fit the layout you’ve chosen. Allow enough walking space between the stove, refrigerator, and the sink. At the end of the day, proper planning is key. Plan a kitchen that adheres to the building codes and doesn’t hesitate to implement the best design practices. Also, work with a kitchen designer who has ideas about how to address your needs and can work with space and budget allotted. Hire a Perth-based building designer. You get a FREE Quote when you inquire about your kitchen renovation project today.